Historical marker located at the base of palm trees to the right. 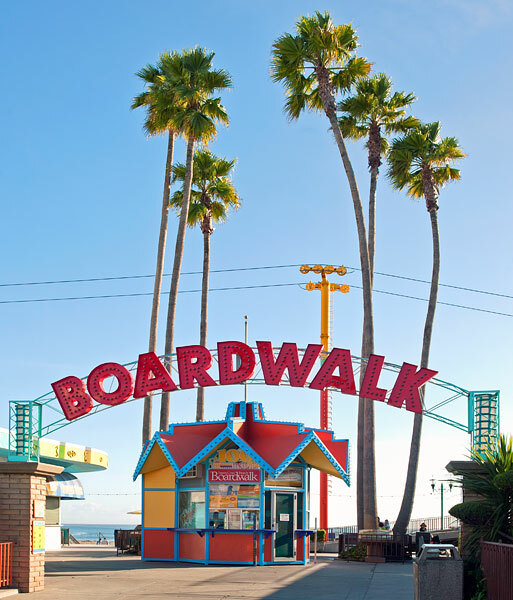 A local landmark since 1907, this boardwalk was one of the first amusement parks in California. It is now the only oceanside amusement park operating on the West Coast. The boardwalk is the site of two rare attractions, the 1911 carousel and the 1924 Giant Dipper roller coaster. Both were manufactured by members of the Looff family, some of the nation's earliest and most prominent makers of amusement rides. 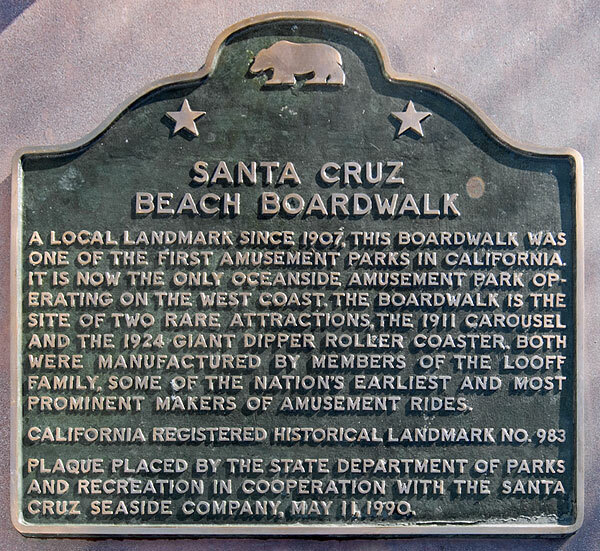 Plaque placed by the State Department of Parks and Recreation in cooperation with the Santa Cruz Seaside Company, May 11, 1990.